As wardrobe mistress and later as a costume assistant Jane Petrie was involved with the eponymous Tudor queen of both Elizabeth and Elizabeth: The Golden Age. 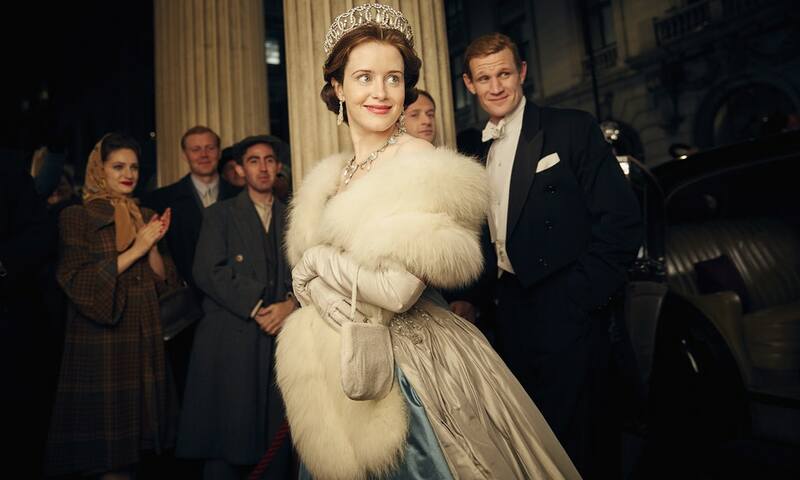 Now she has taken over from Emmy-winning costumer Michele Clapton for Elizabeth II in The Crown’s second season. Petrie’s role takes on an intensive role of researching social history through surviving material culture. She said she avoided the idea of perfect, curated wardrobes and looked at how dress was worn everyday – something The Costume Rag highlights in the secrets of authentic costume. Her attitude to such details is profound and results in “a lot of swatching, and a lot of searching.” She also said that fitting such precision into hectic filming schedules can be challenging. “When you make a film you don’t shoot chronologically. We might have 200 extras working in one day who have to be in 1956 and 1962 and so to keep an eye on that in the passage of time for the principle actors is big,” she said. Naturally such expertise is the result of years of experience and devotion to fashion history. That said Petrie told London College of Fashion’s Frances Corner that she she didn’t even know that the job existed until she was 21. “I left school when I was 16 to do a portfolio course for art college, but I ended up just doing course after course, not really knowing what to do with them. I knew I wanted to do fashion, but I just wasn’t sure what I could do. I had moved down to London and was selling hats in Camden, things like that. I’d had an interest in period clothing all my life and I’d always done projects about it at school. If I was given the opportunity to choose a subject it would always be the history of clothing,” she said.